Imagine moving into a new neighborhood. As you move in, people in the area realize who you are and begin to make you feel very unwelcome just because of your politics. Imagine tons of residents putting up signs chastising you for holding a legitimate political belief that is shared with millions of Americans. This is what’s happening to Vice President-Elect Mike Pence. The yard signs are specifically targeting Mike Pence and his stance as a pro-life lawmaker. NARAL said many in the area were excited to accept the signs. One neighbor directly across from Pence's new home has opted to place a sign in his yard – not exactly a welcoming environment for the soon-to-be vice president. A spokesman for NARAL discussed their motives. 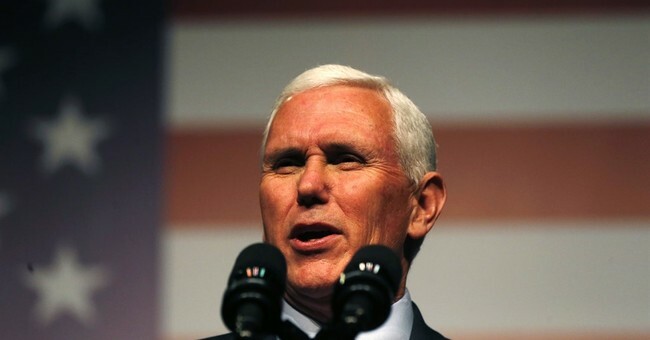 "Part of our charge following the election is making sure that Mike Pence knew just how off base he was with the majority of Americans when it comes to abortion access," NARAL's communications director Kaylie Hanson Long stated to the DCist. "The best way to let him know that is to go literally right to his door step and tell him." Out of all the pettiness liberals have shown post-election, this stunt may take the cake.